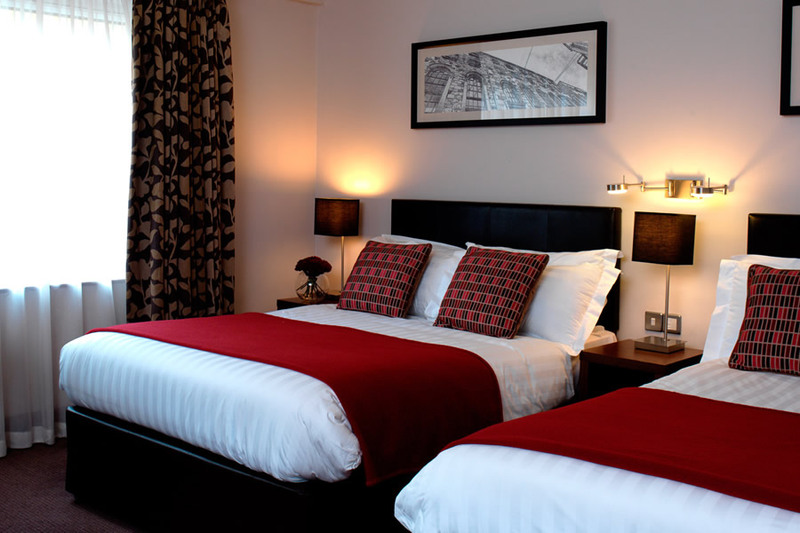 Clayton Hotel Sivlersprings is one of the finest 4 star hotels in Cork, located just five minutes from Cork City Centre and just seven miles from Cork International Airport. 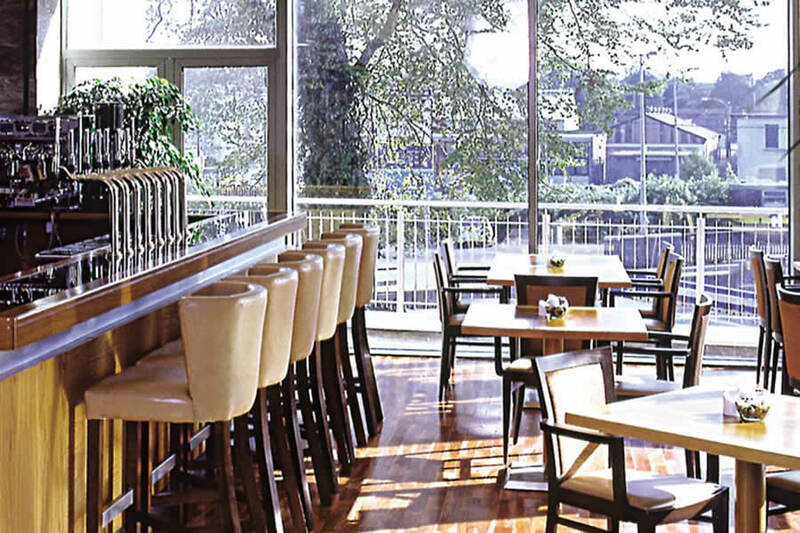 This Cork hotel is renowned as one of Ireland's largest conference & banqueting venues it hosts events for up to 1,500 delegates. From Cork City CentreAt roundabout take the first exit. Bear left onto South City Link Road - N27. At Junction two continue forward onto Michael Collins Bridge N27. Bear left onto Penrose Quay - N8 (signposted all routes). Turn right onto Ship Street - R854.Turn right onto Lower Glanmire Road - N8. At roundabout take the 2nd exit onto the N8 (signposted Dublin, Rosslare). Continue on the Lower Glanmire road and over the Skew Bridge, move into the left hand lane. At the Kevin O' Leary turn left and then right. Very good location - we got the older wing of the hotel and the windows are not the best in terms of soundproofing, so could hear the traffic quite clearly. Great breakfast & friendly staff. A very enjoyable stay in this hotel, the bar menu is limited and the seating not suitable when trying to eat (sofas too deep and stools not comfortable). The breakfast menu was excellent with plenty of choice. The staff are excellent and really helpful, the door card kept deactivating itself which was really annoying (up and down lifts). Location of the hotel is excellent and it's a hotel I would go back to and recommend to friends. Just back from a two day break in Cork at the Clayton Hotel Silversprings. The hotel location is excellent, easy to get to from the M8 and on a couple of minutes drive to St Pauls street in the city centre. The staff were very helpful with directions to sights around the city and offered very friendly service. The rooms were clean, confortable and nicely decorated with Iron, Ironing board and tea/coffee making facilities. We ate in the bar one night and the restuarant on another. The food was good, but to be very critical I thought the menu a little limited. Overall, I would recommend this hotel to a friend. Good location, excellent food, and friendly service. Would stay here more often, if it wasn't so close to home! I had previously stayed in the Silversprings hotel on numerous occasions in the past number of years and found the hotel to be of 5-star quality. However, on my recent visit to the now named Clayton-Silversprings- I thought that it lacked the 5 star qualities I was used to: ie cleaniness of toilets both in the bedroom and the main toilets on ground floor. I met a number of staff who were very friendly but found some lacking in customer service (both in reception and bar food areas). I will return as the food was lovely and the value of price I paid was GREAT. Stayed here the 23rd September (received a generous upgrade to a suite)... The suite was fabulous (Tivoli Suite), with generous space size. Our stay was really good and too short (would have liked to stay longer !!!). The hotel is currently being upgraded and has new rooms for an extra €25 per night ! Excellent hotel great for families. Play area inside and out. Play group for the kids 6.30-8.30 which was fantastic. Food was fabulous. Will be back for sure. We had a group of four adults staying overnight. We would recommend the hotel for value, friendliness and the standard of food. Some small suggestions which would have added to the stay are: The receptionsist was very busy and under pressure dealing with personal customers while the phone continually rang. It was annoying to be continually interrupted when checking in as answering the phone took priority. The rooms were very warm and there was no access to the radiator to lower the temperature. It was not obvious beforehand that the swimming pool was a ten minute walk away. Consider making the bar menu available in the restaurant as it was more extensive than the restaurant menu. Overall though, good service and friendly staff. Excellent food & accommodation, staff friendly but a little chaotic. Leisure centre up the hill very old fashioned, water in pool was cold & staff there obnoxious. Stayed here on Saturday 05th March and received a great welcome when checking in, We got a family room on the 2nd floor and the room was very clean and loads of space. There was a generator in use outside the back of the hotel which was very loud and when i enquired in reception was told it would be switched off at 22:15 for the night. Only other fault i would have would be the leisure centre as it is not actually in the hotel. As it is a good 10 mins walk up a very steep hill and it was raining we had to leave the hotel and drive up to the leisure centre. Overall it is a very nice and relaxing hotel to stay in. The hotel was fine but the staff could do with lessons in manners. I would definitely eat out rather than get the evening meal in future especially where there are childrens meals. They looked like they were dipped in a deep fat fryer and thrown out. Children could not eat what was served up. Adult meals 2 out of 10. The facility is good other than the food and staff..
A beautiful hotel we stayed two nights and opted for an upgrade to a suite on the second night absolutely gorgeous could highly recommend it . The staff on reception were very pleaasant and welcoming which was more than I could say for the staff in the breakfast room. We came down at 10.20 my husband had porridge and after finishing that he went up for a cooked breakfast to find the hot food taken away he asked one of the girls who said no it was gone this was at 10.35 really bad form, I would expect them to llook at the people who were dining to see if they were finished, I heard a few more people complaining about this also. That was annoying but the room and staff on reception made up for it. The staff in the dining room could do with few lessons in good manners and dealing with people. We stayed in the family room at the Clayton Silver Springs on an overnight recently and would definitely recommend it. The staff we very friendly and accommodating. We travelled with two older children and of course there was conflict between them over sharing the double bed! It had been suggested to me at reception if there was an issue there would be no problem in supplying a fold out bed. There was plenty of room to add the fold out bed and the room was comfortable clean and roomy! The beds and pillows were also exceptionally comfortable and I'm fussy! Food was fab and we were only sad it was for one night only. Only drawback is having the leisure centre outside the hotel but not a serious problem. Lovely comfortable hotel. Great food, nice atmosphere. Really enjoyed my stay. Staff very courteous and helpful. Hotel was very nice, a bit of refurb needed in hallways and stairwells, but can't really recommend if going with young kids as the windows are unsafe. Can't relax knowing the bedroom windows at probably less than 1m high open fully and easily (a toddler could easily open them, and this in a family room) with high drop (6 floors of rooms). What's the point of going to a hotel if you can't relax? Also room we had was very noisey and cold due draught from gap in window when closed (busy road, railway, port outside). Bar and food was very nice. Play area for kids in reception alone would bring me back with family (brilliant idea), as would secure playground for kids. Staff really friendly. Would go back with family if I knew the windows were sorted. We booked to stay at the Silver Springs for four days to celebrate our 40th wedding anniversary and my wife's birthday. We were upgraded to a spacious and well equipped suite. The room was quite exceptional although we had a couple of issues. The safe stopped working and we couldn't access out items. Hotel responded within twenty minutes and opened it and after we went out replaced the safe with a working replacement. Great! The refrigerator did not work and although reported on the first morning was not attended to during our four days. As we only had some water in it and a complimentary fruit gift this was not s major problem. Overall great room experience. The Watermarq restaurant was closed for dinner during our entire trip although the website indicated it was open for three of our four night stay. This was a bit problematic as dinner was in the bar and on occasion there was no space, no space reserved for diners who had paid for dinner in advance. Bar service was slow at times. On one night there was only standing room in the bar areas. The quality of the food was truly excellent and it was the same food that would have been available in the main restaurant. Breakfast was at a high standard. Nitpicking one would expect some smoked salmon to be available. Although staff service was patchy at times and the dining areas problematic through a level of insufficient planning the staff listened to ones legitimate concerns and did try and help. Car parking at times was challenging. Overall I have given a five star rating because of the positive responses to guests queries and concerns and the application of a high level of customer care. Planning could be improved somewhat. Highly recommended. The star rating is a little difficult for me between 2 and 3 but if you said would I stay there again, it would be no. I mentioned the broken window and television problem at reception and there was no quibble and a gratuity was given which was appreciated I didn't mention any of the below points at reception but as you have asked for a survey I mention them now. I was surprised the hotel had a 4 star rating - decor somewhat shabby frayed carpets and a musty damp smell as if there had been a leak in the corridors. The stay was disappointing for the following reasons:- Short staffed which impacted in the following ways: Dinner, we had to wait 55 minutes before our food arrived, extra sauce took at least 10 - 15 mins to arrive that again, but was requested at order. In all it was two hours before dessert was finished and we had planned to go out, which by then we could not go. The waitress who served us was lovely and we enjoyed the meal. I've never experienced a breakfast like it in a hotel, due to staff shortage. We arrived to breakfast at 10am. There were no sausages or fried eggs and we had to go back up to get those when they were ready, the juice completely ran out. But the main problem was, there was no clean table to sit at. A girl sent us away from a table she was clearing and saw us go to another table nearby, but instead of coming over to us to clear that table, she went to the other side of the room to clear another table. She just left us standing beside 3 dirty tables and had no intention of speaking with us again or following up with us. When I went over to her to ask if she could clear the table (we were all standing around), she said "you can sit at this one when I've cleared it". And then to top it all she never asked us if we wanted tea and toast and never came near us again to ask it, but did look at us several times (quite clearly) as she went in and out of the kitchen. She was clearly ticked off due to being short staffed. Another lovely girl got tea and toast for us after a while, when we went over and asked her for some. I hate to personalise it to one girl because I work in the service industry and know how difficult it can be. But to be left standing beside 3 dirty tables and for her to then say you can sit here when I'm ready( more or less). I could sense her mood when she sent us away from the first table and I actually didn't want to go back over to her but at that point there was no one else on the floor. I did look for a damp cloth and a tray (but there weren't any trays) to clear the table myself. The staff shortage was not her fault so she can't solve that for you. We got a room that was the smallest room I have ever stayed in. There was damp patches all over the ceiling. Breakfast was the worst I have ever had in a hotel. Staff not helpful. Waitress at breakfast had no interest in serving us even though restaurant was empty. Very disappointing. Have always enjoyed our breaks with Silver Springs before, this time upon registering was informed that restaurant was closed for Sunday and Monday evening. As we had booked for evening meals for both nights, our only other option was to drive into Cork City ( which would have been awkward as my husband now has very reduced mobility) or avail of the bar menu. As this was a special anniversary it was a disappointment that could have been avoided as we would have changed days of stay if we had been advised prior to arrival. Have stayed in Silver Springs many times over the years and have always enjoyed stay before now. Lovely hotel, great location. The staff are very friendly and helpful and the restaurant and food are very nice. Rooms are modern and clean and all necessities are provided. Would definitely stay again. Hotel very nice inside and very clean, staff very friendly - food was good in restaurant. Leisure centre in a separate building up quite a steep hill about 5 mins or more walk away, would need to drive if you had small children with you. Check in was easy, friendly front of house staff. The room was nice, clean and spacious. The meal was a disaster, we received no starter or food apart from my daughters soup after an hour. Then after an hour and twenty minutes we finally got our main course, the starter never came. When we complained we were told there was not enough staff on. To be honest having worked in the catering industry myself for a number of years, that is not the customers problem or concern and they do not need to hear about internal processes such as staff rotas. We did receive a free drink each and dessert for my daughter. But the overall service on the night was not up to standard. We had to get clean cups from another table and some of the cutlery was dirty. When the chips came they were re-heated and only we were so hungry at this point we would have left. We did request a quiet room on our booking form. But from 2am till well after 3am we had wedding guests walking up and down the corridor. Twice we had to go outside and ask them to move and and keep the noise down. One group actually stood outside singing a chorus of up town funk. We also had a grown man knocking at our door at 4 am. Knowing we were not with the wedding party, I am baffled as to why we were put on the corridor where the exited from their venue, especially since we had a child and requested a quiet room. The staff were nice. We had a lovely big family room. The only down side was the poor choice on the summer menu I was in the restaurant for just less than an hour and in that time 7 people walked out and into the bar for food. The next day I asked at reception if I could eat in the bar and that was no problem. The food was Fab with generous portions and a great atmosphere so much better and nicer than the restaurant. Lovely hotel, great atmosphere, friendly and helpful staff, great location. Lovely hotel. Very clean bathroom and bedroom. Lovely friendly and helpful staff. Great parking and convenient location. Highly recommended! Booked a triple room for 3 adults. The room was actually a double room with a camp bed stuck in the corner. Not suitable for an adult and very uncomfortable. The room was also extremely hot at night and due to roadside location you could not open the window. Asked to be moved but the hotel was booked out. Food in the restaurant was delicious though. Lovely Breakfast, Fantastic meal (Sea Trout starter and Venison m.c. 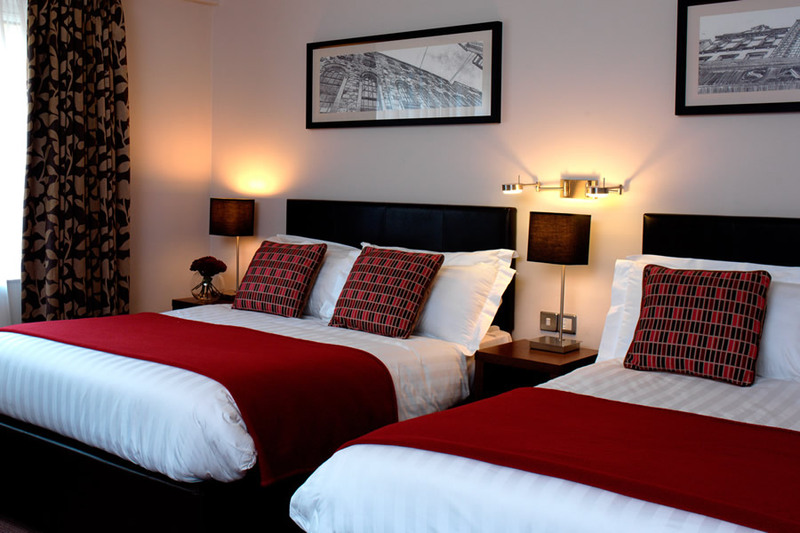 ), immaculately clean, well appointed room, enjoyed the stay and would certainly stay again. Lovely Hotel in great location for City & Fota. Very clean & modern, our only complaint is the beds are very very hard :-( A car is a must to get to the leisure center with the kids!